Jimmy Huang’s practice focuses on various aspects of intellectual property, including non-contentious and contentious matters relating to trademarks, copyright, domain names and unfair competition. Mr Huang has extensive experience assisting Chinese and international clients in Chinese IP matters, and has helped many clients to recover their trademark rights, manage their trademark portfolios and crack down on infringements. His experience working at boutique IP firms, international firms and leading Chinese full-service firms allows him to understand clients’ business needs from different perspectives and offer tailored services. Mr Huang offers clear advice and creative solutions to clients’ needs and has assisted leading Chinese companies, multinationals and foreign firms in the areas of consumer products, manufacturing, Internet, finance, high-tech, wines, whisky, fashion products, education and property. At the prosecution level, Mr Huang offers a comprehensive strategy for dealing with squatted trademarks, overcoming prior obstacles and seeking proper scope of protection, resulting in satisfactory outcomes for many clients. He also maintains an impressive success rate in trademark administrative lawsuits at all levels. At the enforcement level, Mr Huang successfully represents clients in different industries in trademark infringement, copyright infringement and unfair competition suits. He is also experienced in effectively tackling infringements via online complaints, administrative raid actions, customs seizures, investigations and demand letters. 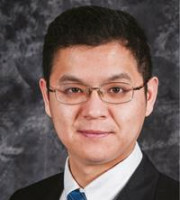 Mr Huang actively participates in professional organisations and events. He is a member of INTA’s Unfair Competition Committee (2016-2017) and the American Bar Association’s Section of IP Law.